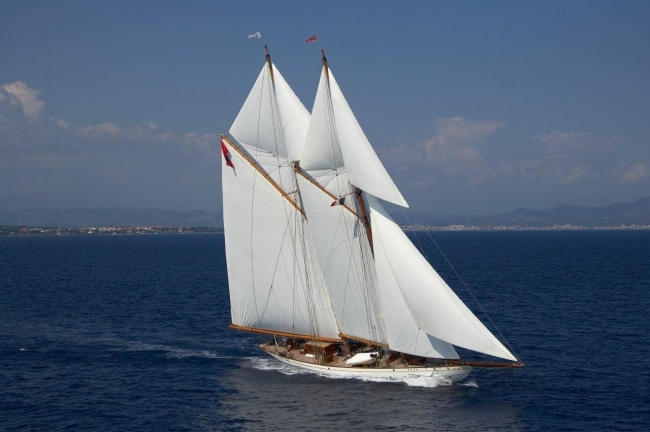 The spectacular classic sailing yacht GERMANIA NOVA is still available in the Caribbean for Christmas/New Year! Full beam Master Cabin aft with facilities, LCD TV, entertainment center and seating area. VIP Cabin with ensuite facilities, desk, chair, Entertainment center. 3 double cabins all ensuite with seating and entertainment center.